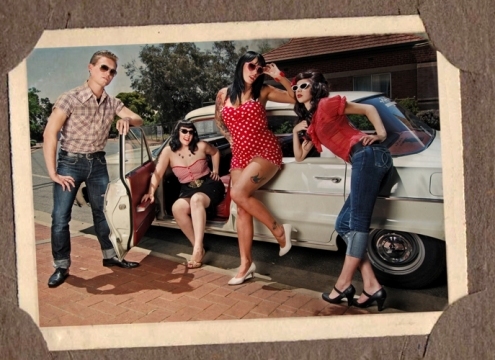 This Rockabilly photo shoot was a collaboration with Adelaide photographer Julia Thomas. We had so much fun with the concept and art direction. 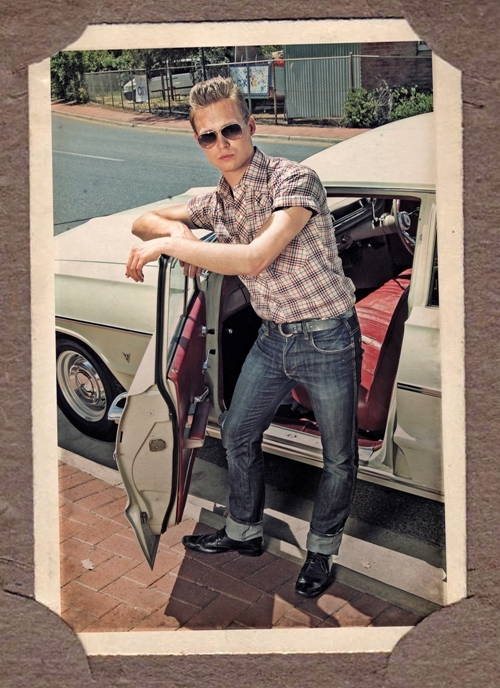 We were inspired by the classic 1950s Rockabilly style, love for vintage hair and makeup, vintage clothing and tattoos. A big thanks to Julia Thomas and her amazing photography skills, Andy for his photography assistance, Sarah for helping me style the hair; Justine and Julian for the Chevy; our beautiful models Ashlee Adams, Jaih, Gemma Vendetta and Joel; Moxie Minx for the loan of a few hot frocks. Lastly I want to thank the beautiful Rachel from Vintage Carousel - thanks for being so generous and letting us take over your shop for the day!